Beyond the Beltway, our very own Ted Starkey, has a nice following. Ahead of the All-Star break, Vinny, our Isles correspondent, spoke with Ted about all things Caps: Ted’s ownership, team culture, Ovi, Sasha, Bruce, white home jerseys, and the DH32 – Turgeon hit. Our thanks to both gentlemen. 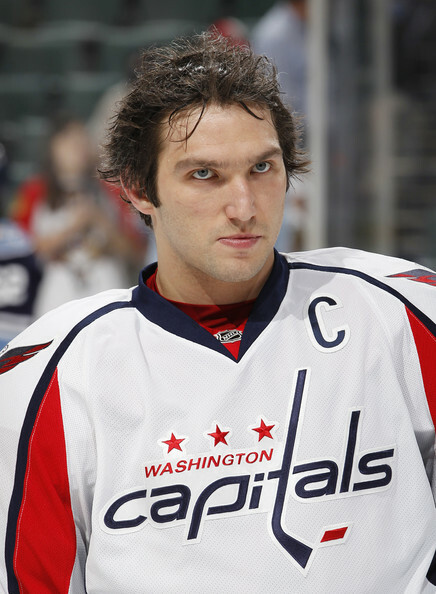 Vinny: What do you think of the Ovi suspension and subsequent hubbub after he removed himself from the All-Star game? Ted: While I did think Alex Ovechkin would get some sort of suspension for his hit on Zbynek Michalek, I was surprised of the length of the suspension. I thought he would get a game or two based mostly on his prior history – most notably the hit on Brian Campbell in 2010 – but did think three was a bit excessive for the play. What really surprised me was no discipline or fine on Michalek for his elbow to Jason Chimera, as people have seen, that can be a dangerous play and thought that definitely merited at least a fine. To do nothing on that play really sent a mixed message, in my opinion. As for the All-Star Game, I think the suspension overlapping the event put him in a tough spot, either having to answer questions about the suspension there or not going at all. For a weekend that’s supposed to be fun for the players who go, I really understand why he’d want to skip it and don’t have a problem with it. 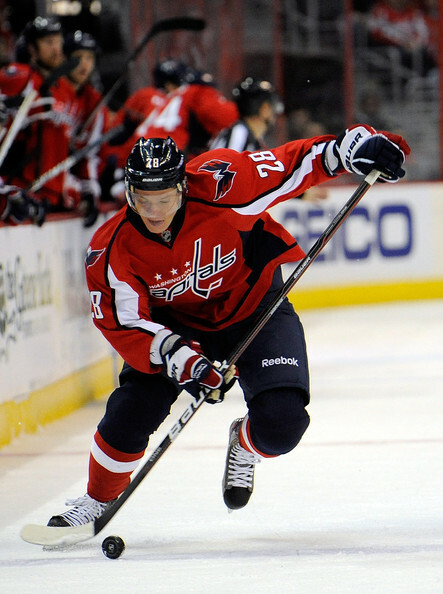 Vinny: Do you believe Alex Semin stays longterm as a Washington Capital? 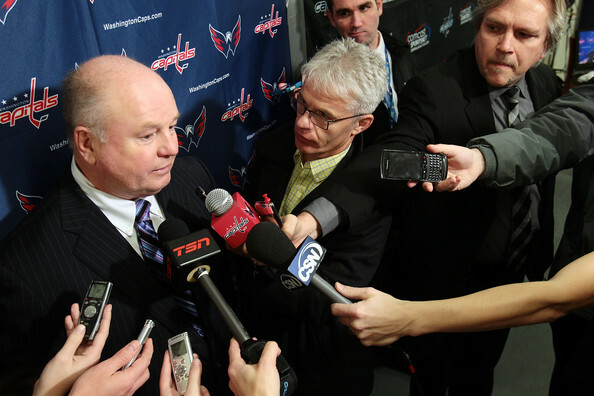 Is Mike Green’s tenure with the club nearing a conclusion as well? 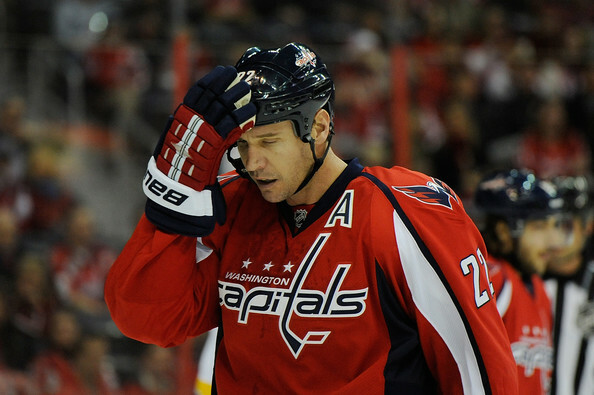 And what’s the latest on the Tom Poti situation? Ted: The Alex Semin case will be interesting for the Capitals, as they’ve signed him to a one-year deal for back-to-back years and now will have to decide again to bring him back. For a while, he appeared to be the likely candidate to get moved to create cap room for a potential deadline deal – if they could find a taker – but now with Mike Green on long-term injured reserve, they certainly don’t have to move him in that case. I could see Semin coming back if he would accept less money from his $6.7 million deal this season, but the KHL will likely make him a good offer to go back to his native Russia. I don’t see a whole lot of market for a winger who doesn’t bring a whole lot in terms of marketing by not speaking English and a bit reserved, and one who still has to prove he can carry a club on his own – although this stretch certainly gives him a chance to prove that. I think there is reason to be worried about Green’s future, as even after spending time rehabbing, he did not look good at all in his one full game against Calgary, even admitting afterwards he wasn’t happy with his performance. He seems to be struggling with a long-term problem, and the team is hopeful surgery will correct the issue. But he has played very limited time since last February, so there will be concern with the rest of the year and when he becomes an RFA this summer. Tom Poti is the worst-case scenario, he appears like he won’t return to the NHL again, which is a shame since he has worked hard to try to come back to no avail. Poti was a decent puck-moving defenseman and certainly could have helped this club right now. Vinny: Can you articulate the biggest changes to the Caps culture pre-Leonsis and now? 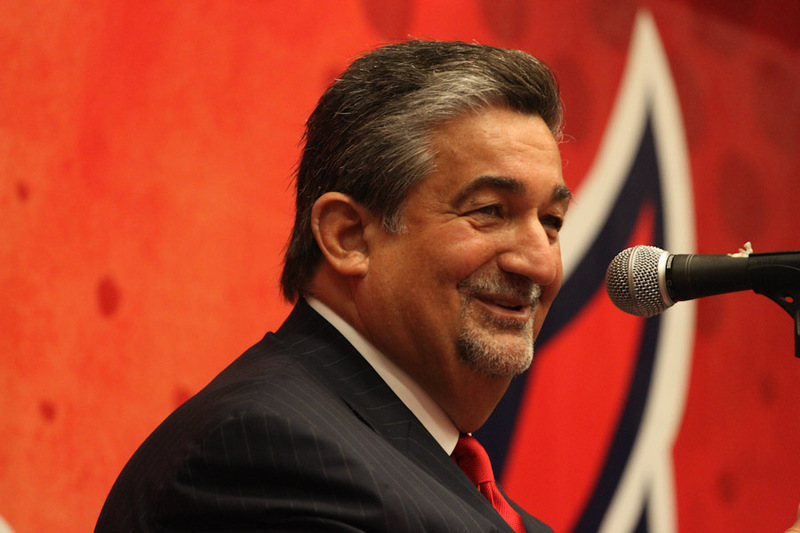 Ted: Since Ted Leonsis took over the club in 1999, the club has certainly been viewed as more fan-friendly and taken steps to undo some of the damage done to the fan base when Susan O’Malley did some very damaging moves, such as selling large blocks of Stanley Cup Finals tickets to a Detroit travel agency in 1998. 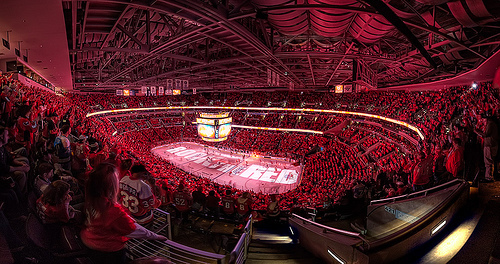 The move had limited success before the lockout, but with the addition of Ovechkin in 2004 and then the blend with an exciting team to watch – not to mention the lack of success by Washington’s other pro teams – the confluence of these events helped create a buzz about the sport that hadn’t been seen since the 1980s in this area. The blend of a superstar, a talented club and other factors have made the Capitals’ experience one of the best in the NHL at the moment, and it will be interesting to see if the team can sustain the ticket demand and excitement long-term. Vinny: What, distilled to one issue, is the reason for this years Caps team, to be struggling so mightily? Do they need to make an acquisition to shore up a playoff spot? Ted: The Capitals are woefully thin at center, and the fact that Backstrom, who has helped mask some of the problems in the middle – has been hurt shows that they need to get a pivot at the deadline. The center spot is so important since not only does it impact the offense and its ability to generate and sustain chances, it also impacts the ability to breakout of the zone. 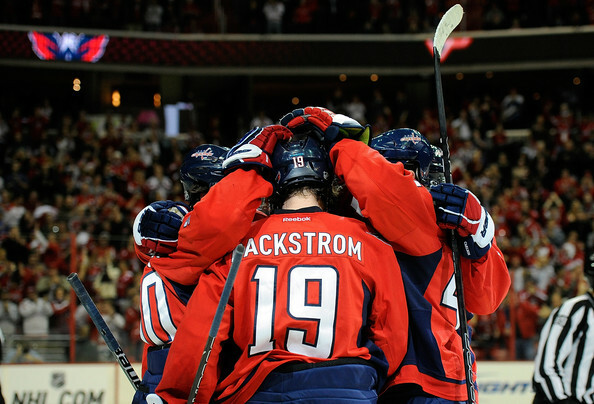 Not a coincidence since Backstrom has been hurt, Washington’s shot total has gone down and shots allowed has gone up. 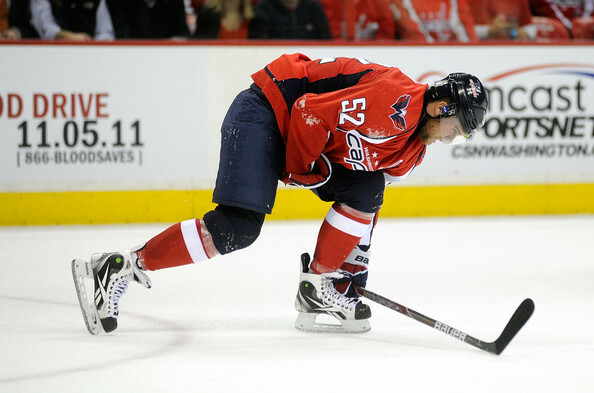 Washington also could use another depth defenseman, particularly with Green’s status unclear. Vinny: Did Boudreau have to pay the price? Was that the right move long-term? Ted: I think the Caps had tuned Boudreau out, and in this sport more so than any other, coaches have a short shelf life. Boudreau was such a motivational coach over a tactician – several people who talked about Boudreau for Red Rising noted his ability to get a team to believe in its abilities – once that was gone, he couldn’t get a whole lot out of his players. The organization had certainly eyed Dale Hunter for a long time as a potential coach, there was talk he almost took over in 2007 when Boudreau was interim coach, but the team’s change ended that, so I wasn’t surprised they brought him down from the OHL. Earlier this year, Leonsis talked about how Hunter wanted to implement one system for the regular-season and playoffs, so you’re seeing some of the changes and growing pains now. Personally, I think one of Boudreau’s biggest mistakes was not using the offensive talent and its advantage more when he converted his system, as a good coach will make a system that fits his players, not the other way around. Vinny: When do you think crotchety old people like us will get home white jerseys back? Ted: I grew up watching hockey in the 1980s and just got used to seeing home teams wearing white, and in MLB and the NBA, it’s the way it goes. I can understand to a point while they changed – allowing easier use of third jerseys but also to boost sales for dark jerseys – but I really am still not a fan of seeing the road team bringing in a blander uniform in. It used to be seeing a colorful array of visiting jerseys, now, you don’t see that. For Washington fans, it’s a shame they can’t wear the retro white jerseys at home, because it would require an opposing team to bring another set of uniforms with them to Verizon, so they’re wearing them 16 games – all on the road. 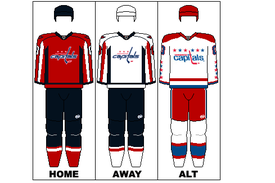 If the NHL wanted to keep the dark uniforms at home, I’d at least do what the league did during the 1991-92 season, have the teams play the first half in home whites and the second half in home colors. At least it’s some variety. Vinny: As one of the NuNHLs chosen few, is the Caps fanbase with it’s influx of new blood still steeped in history? Ted: The interesting aspect if you look at the Capitals’ fan base over the years, Washington had good support during the 1980s, but it was a different demographic, skewing older during its time in Landover and also drawing more from the Maryland suburbs. Once they moved downtown, the fan base has shifted to Washington and Northern Virginia, and also become more of a younger crowd. It’s become a bit more hip to be a Caps fan than in years past, and you’re seeing the merchandise on par with the Redskins in local retailers, which is something unheard of even five years ago. The dynamic between old-school and new-school Caps fans is interesting, there is some animosity between the long-term fans and the newer ones, but I suspect the Capitals’ ownership is quite happy to have both on board. Vinny: Speaking of that history, who is your favorite player you’ve dealt with in your time covering the team? Ted: I have a lot of respect for Mike Knuble, he’s usually there answering questions win or lose, takes his time to answer questions and is honest, which is something a reporter loves. Vinny: Now, I can ask the question I’ve been waiting to: Is Dale Hunter’scheapshot on Turgeon the most disgusting moment in Caps history? Ted: Depends on your use of the word disgusting. 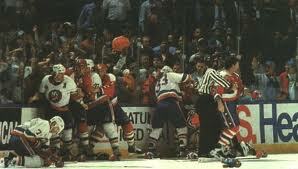 Hunter’s hit on Turgeon after the whistle in Game 6 of the 1993 Patrick Division Semi-Finals certainly was a black mark on his career, and earned him a then-record 21-game suspension from new commissioner Gary Bettman. This is a team that played its first-ever game in white hockey pants – which quickly showed why teams shouldn’t wear white pants with the grime and wear. Also one that sold off thousands of tickets to an out-of-town travel agency during its biggest playoff series in franchise history, so there’s a lot of different ways to define it. Vinny: Does he know how much Long Island still despises him? Have he and Turgeon ever talked and buried the hatchet? I’m sure Hunter is aware having played there after the suspension, but the visit in March will still stir up a lot of anger, I’m sure. Turgeon told my colleague Steve Whyno that he had put the incident in the past, and thought Hunter would do well as coach, but of course, the two are linked in history for the incident. Vinny: Alright, Ted. I have to ask… Am I to infer from our tweets that you’re a Mets and Bills fan? You poor, poor man. Ted: Not a Mets fan, but follow an equally hapless franchise, the Nationals. The Bills I have been a fan of for decades but they continue to deliver nothing but snark. This entry was posted in NY Islanders, Washington Capitals and tagged Alex Ovechkin, Alexander Semin, Bruce Boudreau, Dale Hunter, Mike Knuble, Nicklas Backstrom, Pierre Turgeon, Ted Leonsis, Ted Starkey, Transition Game BUY THE BOOK. Bookmark the permalink.